I must start off by saying that it’s great to see the ecosystem rally around #NetNeutrality so early in India’s internet journey (we have a billion more people to connect). Who am I? I’m Kavin Mittal, Founder & CEO of hike messenger. In just two short years we’ve become one of the largest messaging players in this country with 10's of millions of active users sending 10's of billions of messages every month. I thought it would be interesting to write about a lot of the stuff being talked about around #NetNeutrality and I’m sure there are a ton of people curious to hear what we think on this matter given that we’re right in the middle of this. Note: My views here reflect my own and that of hike messenger specifically and nobody else. 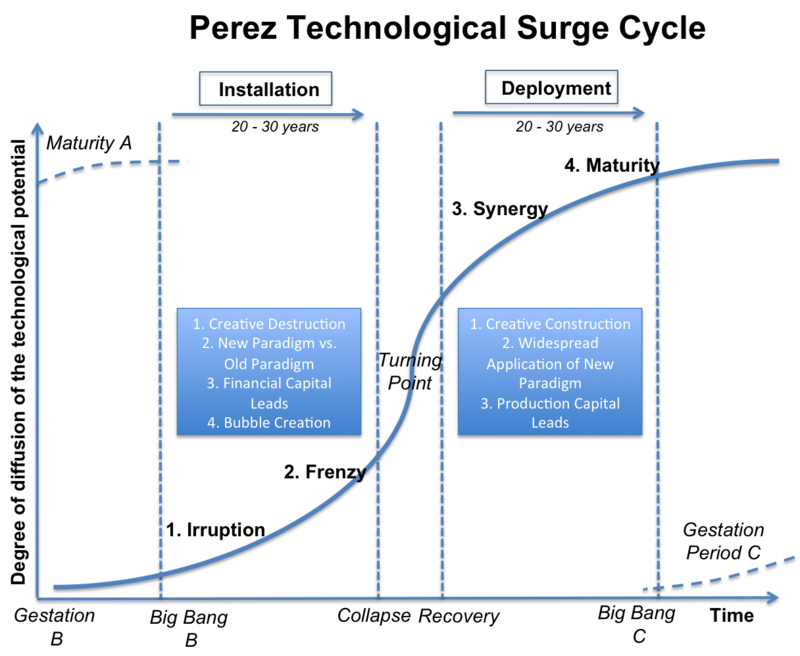 I would like to start off by talking about disruption. Every couple of decades comes a new set of technologies that ends up disrupting the existing business models. This is the cycle of life. We’ve seen this phenomena occur many a times over the last century globally across multiple industries. We saw it happen in the US in the late 1800's with the Shipping Industry being disrupted by the Railroads. We saw it again in the early 1900's when Kerosene Oil Lamps got disrupted the rise of AC Electricity lighting homes in a much cheaper way. Today, we are in the midst of another and I do believe there are subtle differences between the disruption of today and last cycles because of how tightly coupled the new and the old paradigms are; Internet & Telecom Companies. Today, it doesn’t take a wise man to know that we are on the left side of the curve. Mobile Internet is rapidly taking off in India. As a result there are many start-ups finding new ways of solving existing problems in a better manner and at lower cost given the rise and adoption of the new technology. This leads to new business models emerging that disrupt the older ones leading to these new companies gaining significant traction in the market, leading to them raising a ton of money leading to further disruption. The internet disrupting traditional industries isn’t a new phenomena, it’s just that it’s now starting to happen in our very own backyard. The one that’s gotten the most heat is the so called battle between the OTT: Messaging/VoIP players & Telecom Companies and that’s what I’m going to focus on. Given the rise of mobile internet in India, the telcos claim that OTT players like hike etc cannibilize Voice & SMS revenues. They claim that it is ‘unfair’ that OTT players like hike can offer the same services that they do (i.e. Voice & Messaging) free of cost piggy backing on the expensive infrastructure telecom companies have to deploy while the telecom companies are forced to charge a fee for similar services. This leads to a ‘loss in revenue’ as users shift from traditional Voice & SMS to the OTT services. There is no doubt that this shift is happening. And it’s not only because OTT services are free of cost but because products build by OTT players are 10x better. Have you ever tried starting a Group Chat on SMS? Don’t bother. Because it’s not possible. The big question here though is what’s the result of this shift? What’s the result of this disruption? Are telcos really losing revenue? In a traditional disruption cycle, it’s a o-1 situation but unlike other cycles, this particular cycle of disruption is benefiting telecom companies in India given that the disruption is happening on top of their infrastructure. The more people use OTT services, the more data packs sold. In the long term this is a clear Win-Win. We can already see it happening. So, why are we trying to regulate OTT players and force them to pay a fee to telcos when our very existence is driving revenue growth for them? I’d say let’s flip the argument. Why don’t we as OTT players start asking telcos to pay us a % of data revenues for driving their data revenue growth? Sounds absurd, doesn’t it? Because it is. Both ways. The current open ecosystem around the internet is driving growth for all and there should be no question of OTT players being regulated. Everything around #NetNeutrality and regulating OTT players stems from one source — Mobile Internet in India and I’d like to bring some data to light on the market that will help us understand how data is actually used in our country. 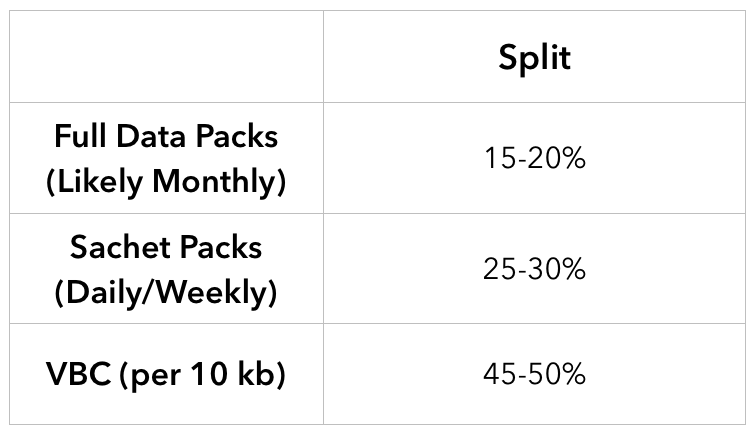 % Data Packs Split. hike survey. Based on our data, our best guess is that today comfortably over 50% of India’s mobile internet market is still dominated by Sachet Packs & users consuming the internet on a per 10 kb basis! That’s just incredible. The big question that we asked ourselves is — Are people on Sachet Packs/VBC experimenting with the internet? Or is this just how internet is consumed in India? After speaking to countless number of our users directly, it’s quite clear that the Sachet Pack behaviour isn’t experimental, it’s real internet usage. The bite-sized Minutes/SMS behaviour has carried over to data and every single telco we speak to confirms that this really is how India uses the internet. There are over 1 billion people in India that will come on to the internet for the first time in their lives on a low-cost smartphone. Over 1 billion people will experience powerful compute for the first time in their lives. Should the experience of these people be exactly the same as those of us who’ve had the fortune of witnessing a PC and a Broadband connection and the internet over the last decade? 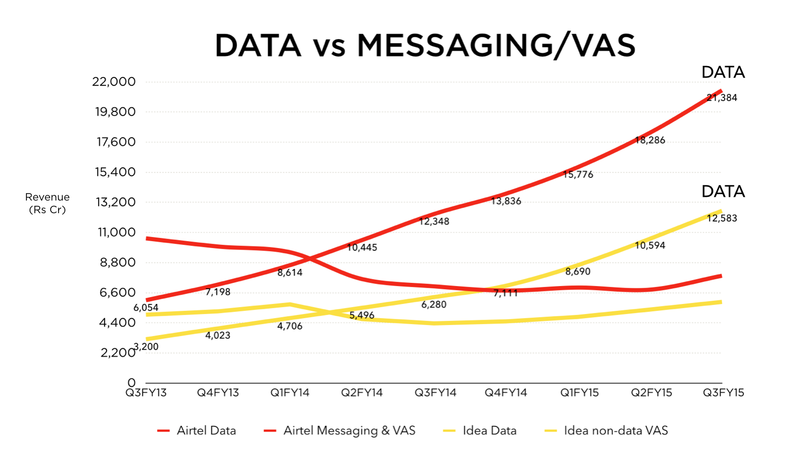 As we’ve grown hike into a product used by 10's of millions of users sending over 10's of billion messages a month in just two short years, we’ve seen how dramatically different India is with every incremental 5–10 Million users and we’re starting to question that very concept. It’s been an eye-opener for us. Today, we have users who we speak to who do not know how to sign up to hike despite having hike pre-loaded on their phones. There are users who we speak to, who do not grasp the understanding of what KBs & MBs mean. Bear in mind, we are still speaking about the Top 100 Million. What about the remaining 1 odd billion? That brings me to Zero Rating. What is Zero Rating? ‘Zero Rating’ is a practice where telcos subsidize the cost of data for a specific application to boost usage of data services and to grow their business. To tackle the mass, many telcos have resorted to zero rating to make the cost of experimenting with the internet zero. Now in essence this may be good for the consumer because cost of trying the internet is zero however, it’s not cost of the internet that’s zero, it’s the cost of a specific service chosen by the telco being zero. This isn’t great for the ecosystem because the telcos ending up favouring one particular service over every other. It’s a bit like VAS. A closed off ecosystem where telcos have final say over which company or service gets preferential access to their network. There is just no transparency. Note: By Traditional Zero Rating, I do not mean the Airtel Zero initiative. Traditional Zero Rating is things like Facebook Zero. Airtel Zero is a whole different discussion, one I hope to touch upon later. This brings me to the topic of #NetNeutrality. Pro #NetNeutrality. All the way. Net neutrality (NN) is generally construed to mean that TSPs must treat all internet traffic on an equal basis, no matter its type or origin of content or means used to transmit packets. Service providers should be able to deliver traffic from one point to another seamlessly, without any differentiation on speed, access or price. No blocking, No throttling, No preferential access. Those are the 3 tenants of #NetNeutrality. I am extremely pro #NetNeutrality. It is one of the most important topics of this generation and I urge every single person reading this post to check out — http://www.savetheinternet.in/ and send a response back to TRAI on this matter (a big hats off to the folks who created this). By default the internet should be open. By default telcos should not discriminate against any kind of traffic, any kind of services and all traffic should be equal. More importantly, telcos should not be allowed to restrict or give preferential access that could result in picking winners and losers on the internet. This is by far the most important point. Telcos should not dictate who wins or loses. India is consuming the internet very differently to how the West does. Over 50% of the market consumes data in small Sachets or VBC. Keep in mind that this is still the top 100 million and even within this segment we have people who do not understand what KBs & MBs mean. If the top of the pyramid faces such problems, what happens to the remaining 1 billion people? Should the experience of these people be exactly the same as those of us who’ve had the fortune of witnessing a PC and a Broadband connection and the internet over the last decade? How do we build an ecosystem where we can tackle the nuances of the mobile internet market of India, make access to the internet simpler for the masses, more tangible, more affordable and at the same time keep the principles of #NetNeutrality intact? I see many people who speak about #NetNeutrality sit in that top 15–20% and don’t necessarily seem grasp the understanding of how mass India consumes services on the internet. The fact of the matter is that most people in this country don’t consume the internet like they do. Most of the market today consumes the internet in a bite-sized/pay as you go format. There are further over 1 billion people in our country that will come on to the internet for the first time in their lives on a low-cost smartphone with no clue as to what the internet even is. Over 1 billion people will experience powerful compute for the first time in their lives in this country. On top of that over 60% of India’s 1 billion population lives on < $2 / day and almost 25% under < $1.25 per day. As a result, it’s not outlandish to think that India may require a complete re-look at the go to market and business models around the internet. #NetNeutrality is one of the most important topics of our generation and I am extremely pro #NetNeutrality. At the same time, we also must realize that this is India, not the US, not China. Over 60% of our population lives on < $2 / day. Our market dynamics are very different from the rest of the world. We cannot simply copy/paste what’s worked and what’s not worked in those markets. We must to give room to both sides of the industry to experiment to bring the cost of the internet down significantly for the 1 billion+ population in India without blocking, throttling or discriminating against any service, with the basic principles of #NetNeutrality intact. Because at the end of the day that’s what matters. Bringing over 1 billion Indians online.